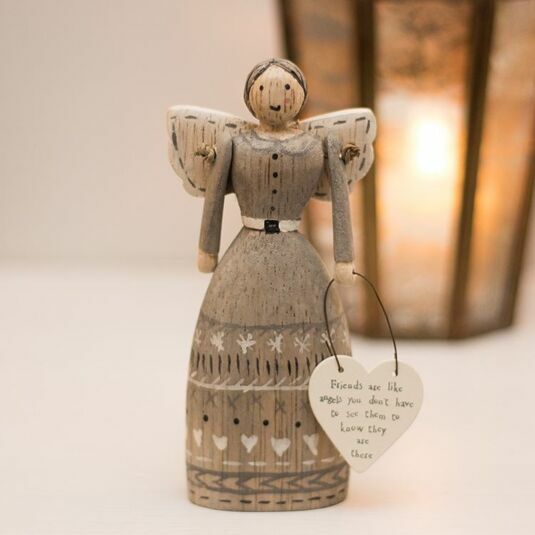 This beautiful wooden angel would make an excellent gift for someone special, or a house decoration you can place in your own home to watch over you. 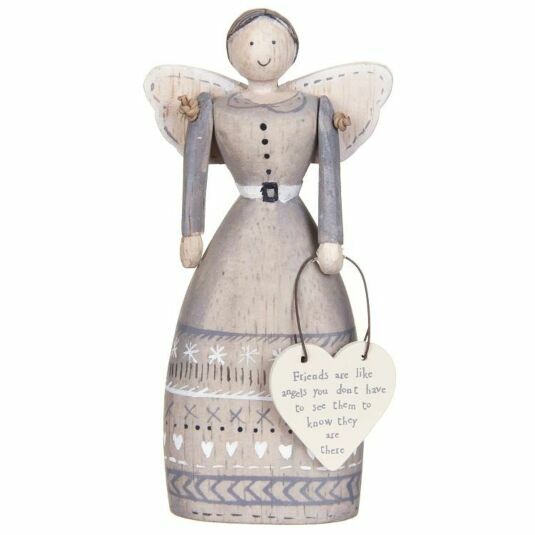 From East of India, the angel comes with a flat base so it can stand on a shelf, mantelpiece or table, allowing its sweet and inspiring message to be read by all. The words on the heart read: ‘Friends are like angels you don’t have to see them to know they are there’. 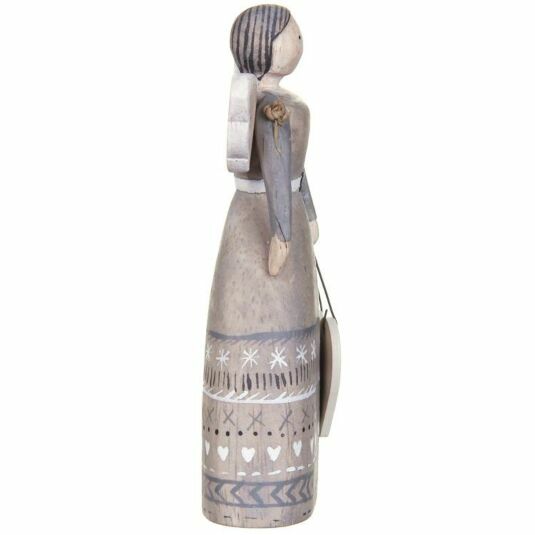 The angel is hand carved and hand-painted with intricate details, and so completely individual. The arms are connected with natural string and are able to move freely. ‘I’m a guardian angel who will bring you good luck’.